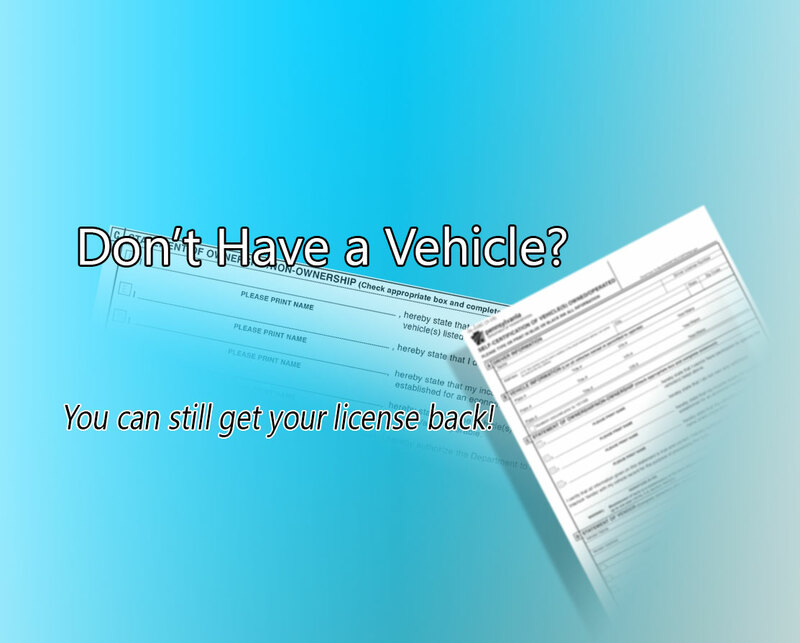 It is possible to have your Driver's License Restored without owning a vehicle in the State of Pennsylvania. This is possible by completing a DL21 Certification that you own no vehicles in the state. Once you have your privilege restored, we can also help you by installing an ignition interlock. What if I Don't Own a Car? The first step to certification is to obtain a copy of PennDOT's DL-21 form. It can be downloaded from PennDOT's website, or we can mail, e-mail, or fax one directly from our main office. Next, fill out section A and sign and date section C. Please leave sections B and D blank. Then either fax, email or mail your completed DL-21 to us. Please include with your DL21 a copy of your Restoration Requirements Letter. You can include payment, or pay via phone. Call with any questions you may have.